The Native Sons of the Golden West (NSGW) is a charitable fraternal organization founded in 1875. General A.M. Winn started the order as an enduring tribute to the pioneer spirit and perseverance of Gold Rush Californians. The group focuses on historic preservation. In many cases, they have purchased and restored historic structures and donated them to the State of California for use as historic parks. 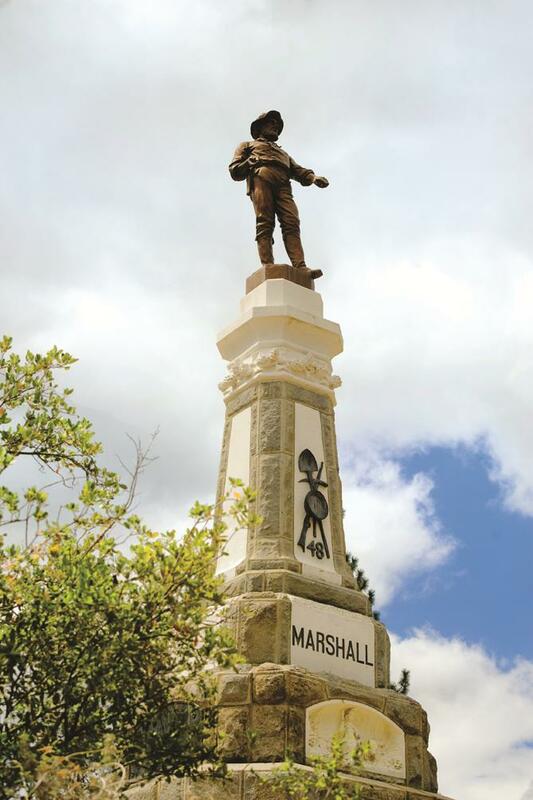 The Native Sons began their historic preservation efforts with the James W. Marshall Monument in Coloma, in the Marshall Gold Discovery State Historic Park. After Marshall’s death, Native Sons Placerville Parlor #9 began lobbying to mark the burial site of the man who had discovered gold. In 1890, the State Legislature appropriated $9,000 to construct a monument and tomb for Marshall. His statue stands atop the structure, with one arm pointing to the place where he found gold in the American River in 1848. The place became the state’s first historical state park. Sutter’s Fort in Sacramento was saved from demolition, thanks to Native Sons. The group’s Sunset Parlor #26, led by C.E. Grunsky, began fundraising in 1888 and bought John Augustus Sutter’s run-down fort, the only original building left on the site, and the land surrounding it. Title was given to the State in 1891, but NSGW members continued to reconstruct fort walls and buildings in an approximation of the original structures. Sunset Parlor members managed and maintained Sutter’s fort until 1907, when they turned the property over to the State for care and administration. 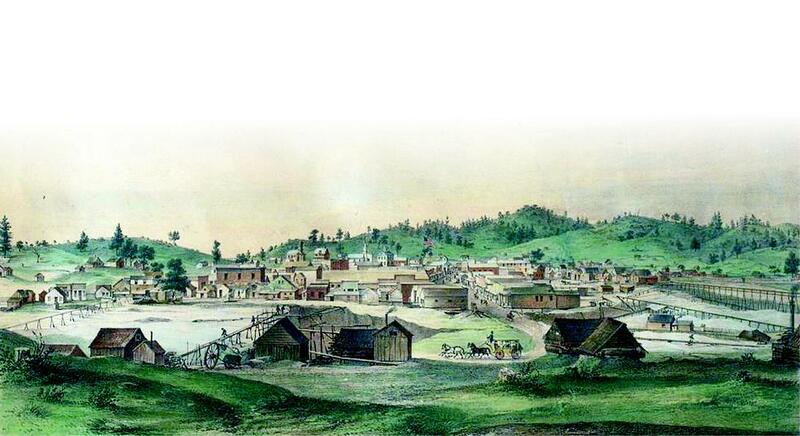 The Native Sons of the Golden West also raised funds and lobbied the State Legislature to recognize other historic sites, notably the Bear Flag Monument in Sonoma Plaza and Colton Hall in old Monterey. NSGW was instrumental in having the historic mining town of Columbia declared a state historic park in 1946. From the 1920s until 1945 when the Legislature passed their bill, the members led other historic organizations in fighting to keep the town intact as it was during the Gold Rush. On Main Street, the Native Sons Hall, built in the 1800s, is leased back to the group and used as a museum. The Native Sons focus on documenting historic places and structures; they have placed more than 1,200 informative plaques around the state to mark historical, educational, civic and military sites of importance to Californians.